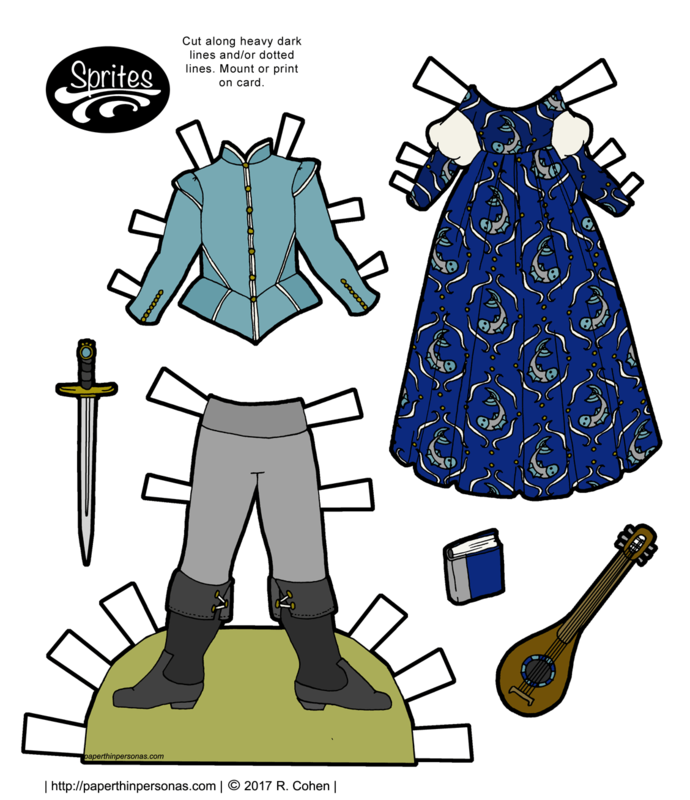 Sometimes when I draw a paper doll outfit, it is really an excuse to explore something artistically. 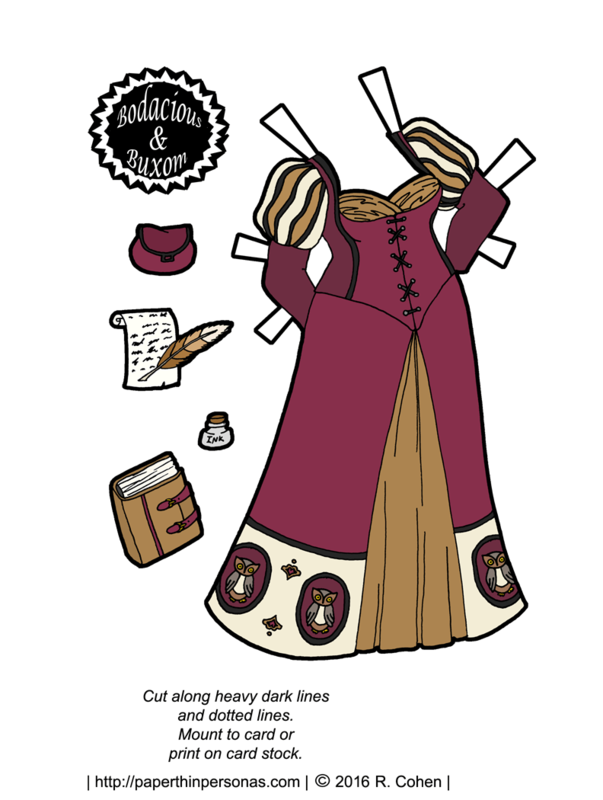 In today’s fantasy paper doll gown, I wanted to practice drawing drapery and layers. 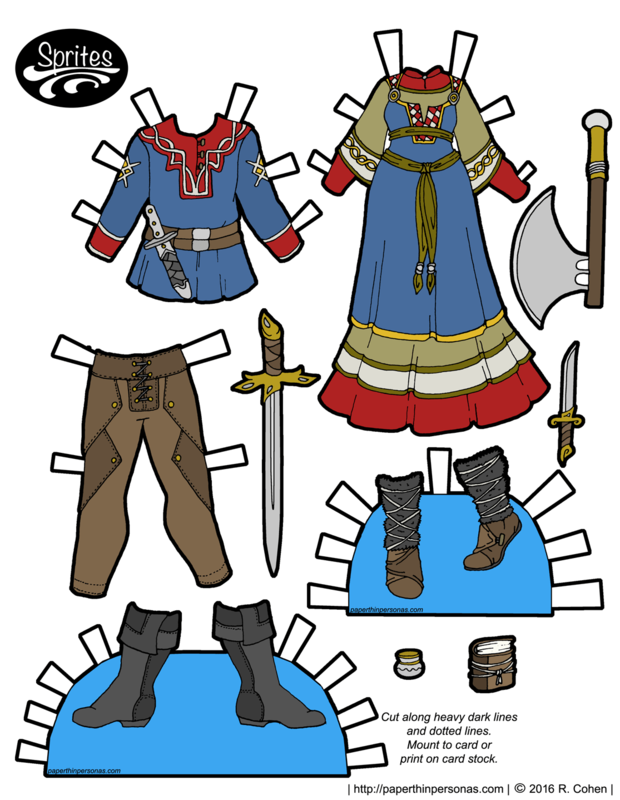 One of the things I am always thinking about when it comes to paper doll designs is how different pieces will layer over each other. Clothing, after all, has bulk and drape. 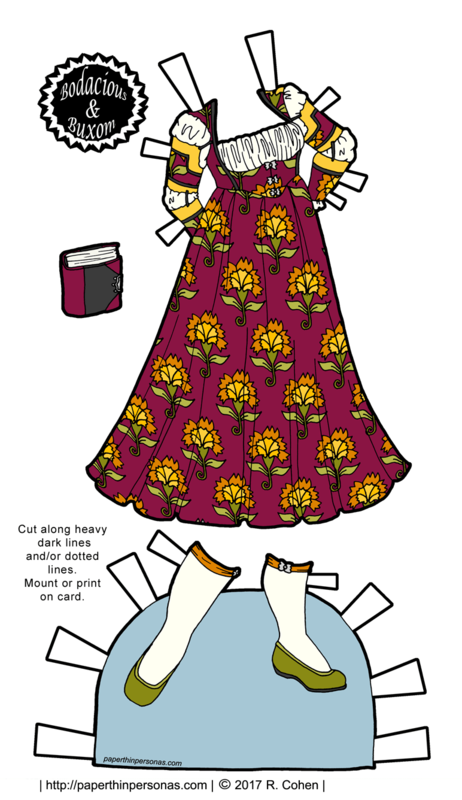 I previewed today’s fantasy paper doll gown way back in June and I actually drew the design back in December of last year. So, this has been a long long time coming, clearly. 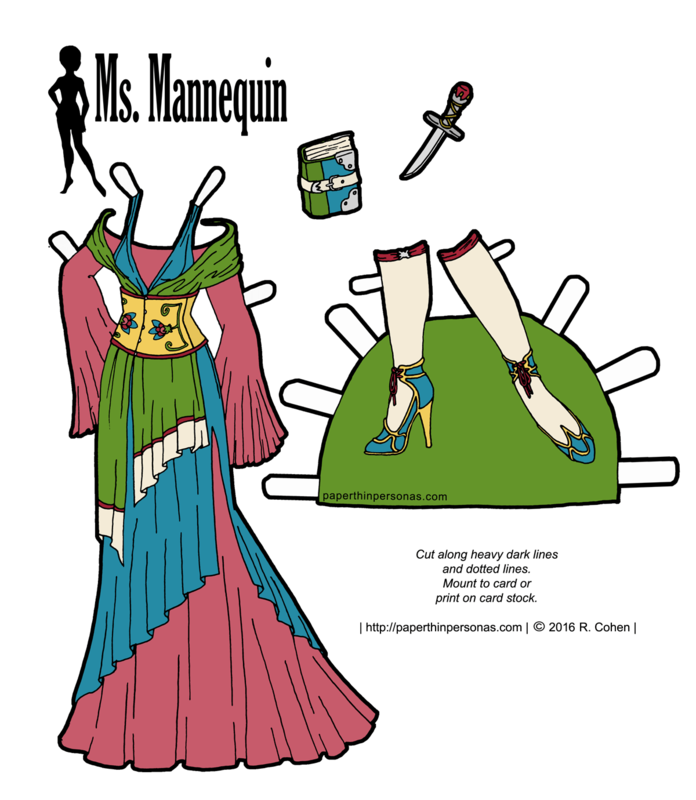 There’s a second similar fantasy gown for the Ms. Mannequin series over on my Patreon page that everyone, not just Patrons, can download in color or black and white, so check that out over on my Patreon page and consider joining. It’s a great way to support the blog. The corset designs are based on folk art designs which I love. I’ve always liked folk art florals and traditional crewel embroidery designs. The garters are, as I said above, based on Victorian garters which often closed with a clasp. 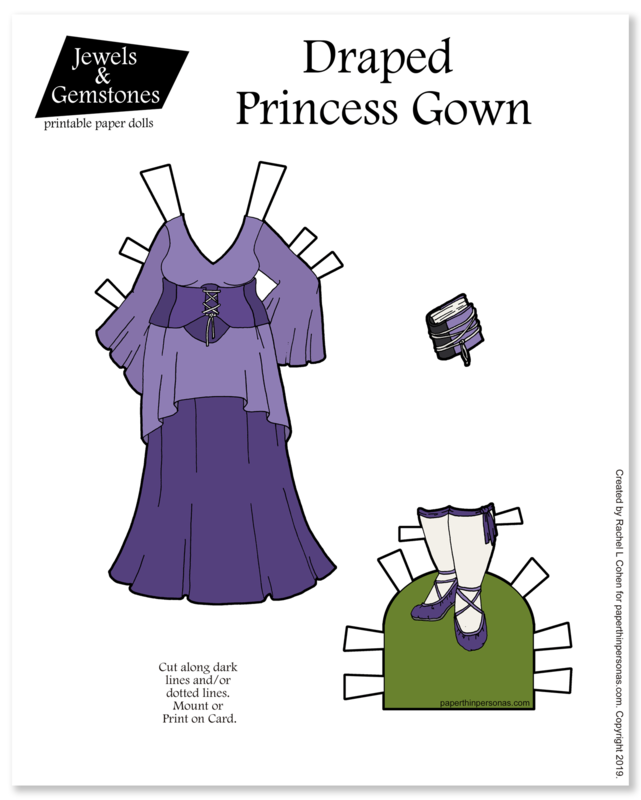 Meanwhile, please let me know what you think of today’s paper doll gown in a comment.